Perhaps a little exaggeration yet performance appraisal is often viewed as a “necessary evil” by managers, employees, and even HR professionals. Managers know they have a responsibility to schedule year-end reviews and submit appraisal forms before they can escape and start enjoying holiday time. Employees know they need to get a good appraisal to justify higher merit increases and future career opportunities. It seems this is the way it has always been. However, the exciting news is that the traditional appraisal process is starting to evolve with new thinking introduced by innovative companies and inspiring leaders. The following three companies give solid examples of new trends in performance appraisal. Adobe is a major player in the global software market and has 13,500 employees around the world. Adobe’s tools and services allow customers to create state of the art digital content and deploy it across multiple media and devices. Its well-known software applications include Acrobat, Photoshop, Illustrator, and InDesign. In 2012, the company began selling its creative software through ongoing subscription and eventually abandoned its previous desktop sales model. This move created major internal pressure to reinvent the company’s culture. Employees would need to transition from structured work designs and product development to more agile and innovative ways of doing business. HR took the lead in this change by rethinking each of its major processes, including the annual performance review. As a result, Adobe established quarterly, informal Check-In meetings to encourage two way dialogue between the manager and the employee. Written goals and expectations were shared in the beginning of the year and discussed a minimum of four times during the year. All ratings, rankings, and prescribed awards were eliminated. Discussions about employee growth and development became the core part of the Check-In meetings. Good performers were given discretionary raises from a pre-established budget. Low performers were transitioned to a performance improvement plan, whenever it was needed, and not delayed until final review at the end of the year. SHC owns and operates 1,725 different Sears and Kmart stores along with a social shopping platform. The company has total revenue of $31.2 billion and 196,000 associates, including 20,000 salaried professionals covered by a performance appraisal process. The new SHC strategy advances its capabilities as an integrated retailer where customers/members can shop and interact seamlessly with the company across multiple channels. Leaders needed faster, more agile ways to align their work to the strategy and continuously adjust as business conditions changed. The old performance system was rigid, lengthy, and did not align with the new strategy. As an example, managers were spending significant time and effort debating a 3.3 versus 3.2 employee rating score! SHC created a new performance system which embodies 7 cultural beliefs, 14 leadership capabilities, quarterly goal setting, and gathering feedback from several sources. Soundboard, a crowdsource feedback tool, collects input from managers, peers, direct reports, and internal customers. At the end of the year, there is a talent review session that summarizes the quarterly discussions, aligns individual needs with development programs, reviews succession planning needs, and leads to promotion and pay decisions. Cardinal Health is a global health-care services company that helps pharmacies, hospitals, clinical laboratories, and physician offices focus on patient care while reducing costs and improving quality. The company has 35,000 employees and annual revenues of $103 billion. For many years, the company used a traditional performance management approach with initial goal setting, final evaluations, and forced rating distributions. Growing complaints revealed that the process was time consuming, employees did not like to be categorized by their ratings, the form was cumbersome, and employees needed more feedback that just twice per year. Pilot 1 started quarterly reviews and simplified the scale to three ratings. Pilot 2 started quarterly reviews with informal feedback and no ratings. Pilot 3 started quarterly reviews with structured feedback using a discussion guide where leaders pick two or three questions and give them to the employee to prepare. Pilot 4 took the most conservative approach. It maintained midyear and final reviews and introduced new forms with updated metrics and competencies. Positive comments from the pilot programs reported the system reminders for quarterly discussions kept both managers and employees on track, the discussion guides allowed newer managers to hold productive conversations, and the new format helped employees take ownership for conversations and not simply rely on the managers to lead them. 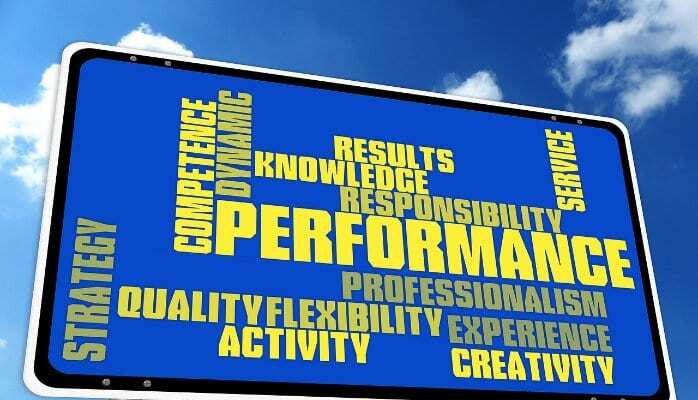 Areas of concern included some leaders frustrated in not seeing a “roll up” of overall team performance, leaders felt restricted on identifying top performers without ratings, and employees questioned how merit increases would be allocated without ratings. In summary, more companies are throwing out the old model of performance appraisal and introducing new systems and tools that meet the needs of changing environments, strategic realignment, and employees who are hungry for meaningful feedback and ongoing development. So far the benefits are promising. The companies highlighted in this article have already reported some excellent results including: greater accountability of employees in the performance process, more timely feedback, deeper discussions between managers and employees, and better data to inform the areas of employee retention, engagement, project assignment, and promotion. Greg Chajnacki is a senior HR leader within the manufacturing, chemicals, insurance, and pharmaceutical services sectors. He is passionate about strategic HR, talent management, leadership development, and organizational learning. Greg currently resides in Lehigh Valley, Pennsylvania. Engler, H. and Mason, C. 2016. “Enabling New Levels of Performance at Sears Holdings Corporation.” WorldatWork Journal 25(2): 35-46. George, L. and Holbein, J. 2016. “Engaging Employees to Transform Performance Management at Cardinal Health.” WorldatWork Journal 25(2): 47-59. Morris, D. 2016. “Death to the Performance Review: How Adobe Reinvented Performance Management and Transformed its Business.” WorldatWork Journal25(2): 25-34.